So, one evening, the couples were whooping it up in a boat on Rushford Lake, while the queen who was setting out the snacks and carefully pouring the wine, spoke an idea - to be juggled from mind to mind; To emerge in the form of a nebulous thought needing naught but space and time. It spun along from mate to mate, leaving impressions and taking form. Growing and swelling with cumulative thought - in the space of never, a club was born. The call went out, the bells were rung and in a gathering of many, a schedule of events was formed. "Come one, come all! The more the merrier!" came the jubilant cry. Thus this web site is fashioned to gather in members, and share delightful times. 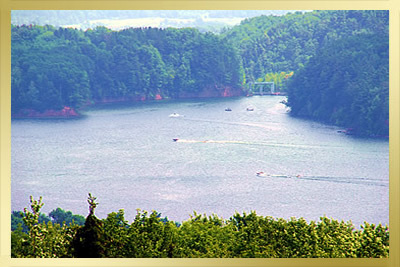 Promote all levels of recreational boating for power, sail, or or/paddle boats. 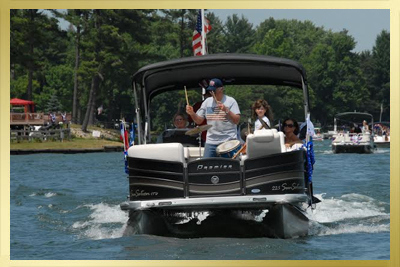 Promote boating, social and educational programs to reflect the diverse needs of our membership. Provide sound management of our natural, physical, financial and human resources to provide a lasting legacy for our future membership. 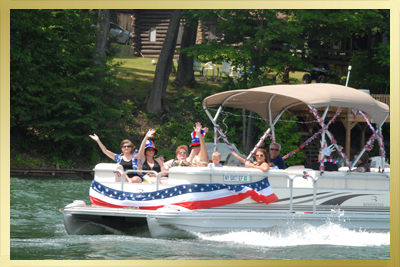 Enhance the stature of the Rushford Lake Boating Club within our local community by promoting boating activities open to all users of Rushford Lake, regardless of membership in the Rushford Lake Boating Club.